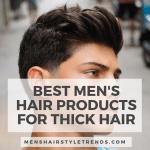 2019 has ushered in new hairstyles for men as well as revived some classic looks. The same is true for facial hair. 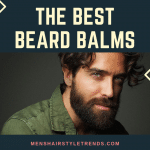 Beard styles for 2019 are a combination of never seen before designs as well as return of classic beards and mustaches. 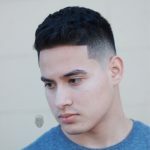 Fade hairstyles and hair designs are going strong in 2019 and getting more and more creative. 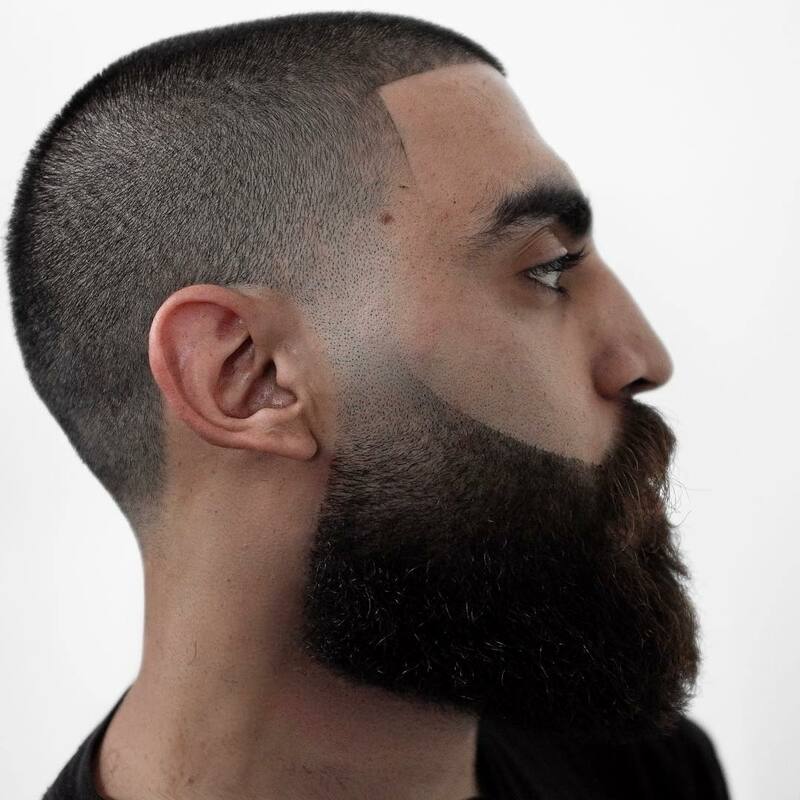 We are even seeing beard fades that add a fade into facial hair. 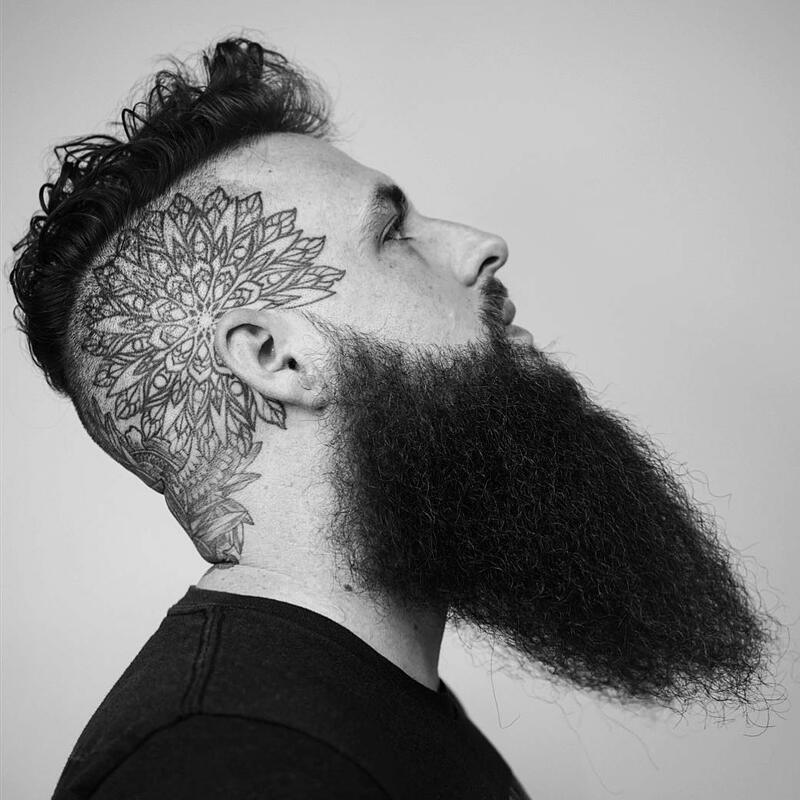 The latest hair tattoos go even further, adding slashes and graphics into the beard. 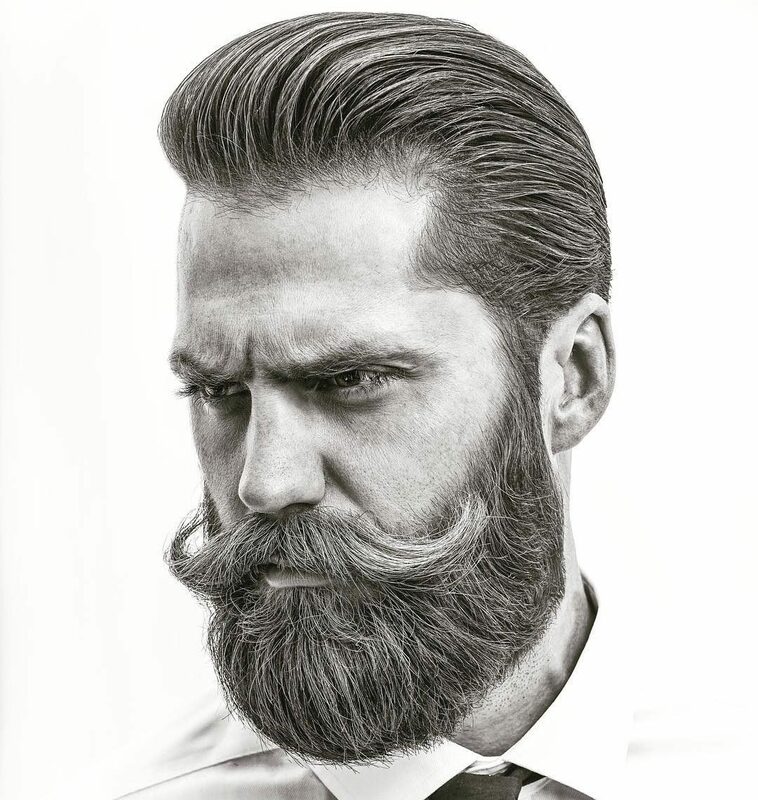 Some styles create designs that start on the head and continue into facial hair. 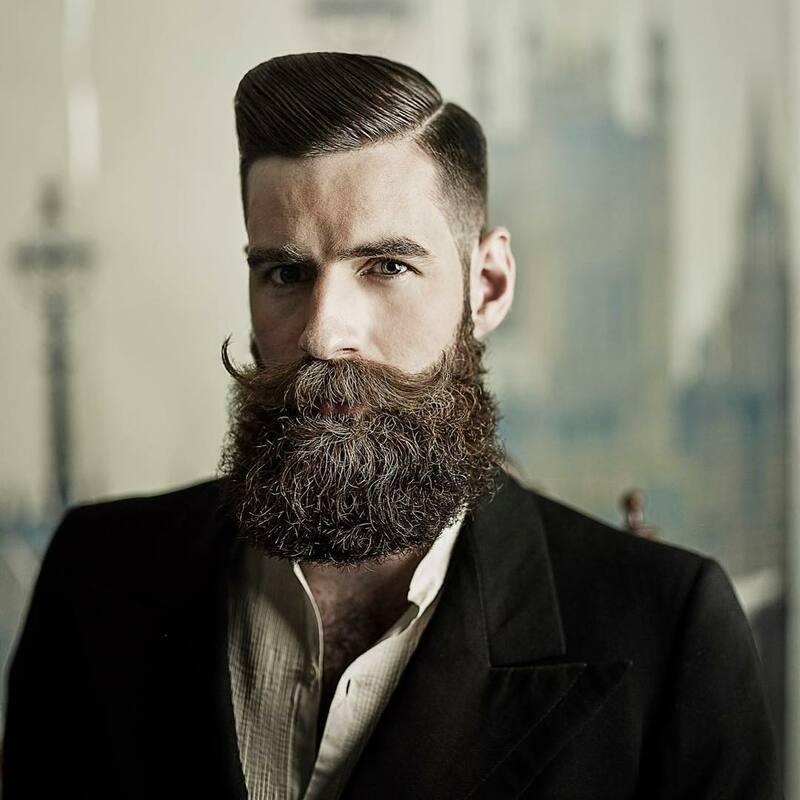 As far as classic styles go, keep growing that beard. Mustaches and long beard that show off full facial hair are on point. 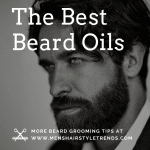 Men with beards should use a combination of washing and beard oils ensure that facial hair is soft, conditioned and manageable. 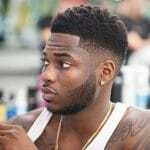 For guys that want a lower maintenance look, a short beard always looks great and is easy to groom at home. 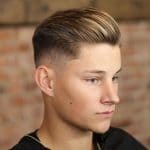 Add a fade or defined line for a cool finish. 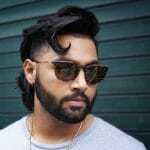 Check out these pictures for some of the coolest and most different beard styles going in 2019, from short to long. It was only a matter of time before fades became a part of facial hair. 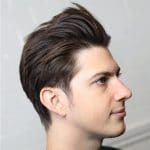 This unique look features a clean line on the cheek that fades down to the jawline. 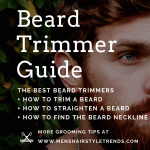 Facial hair is left in a goatee and a beautifully arced chin strap. 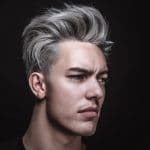 This bold look would work for patch beard growth as well as neck beards. 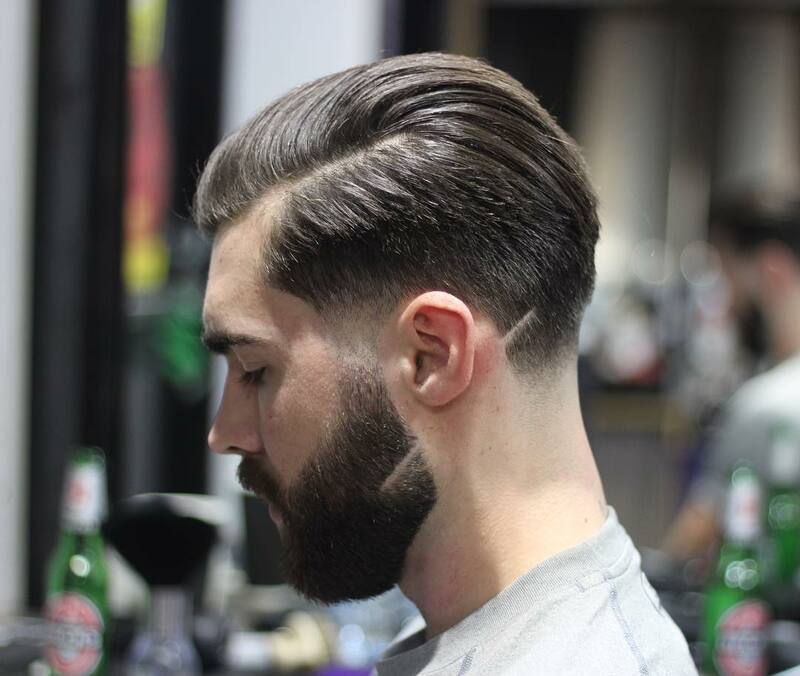 This cool look takes the nape shape to the next level by continuing the pint of the V in the beard. It’s a simple but stylish effect. 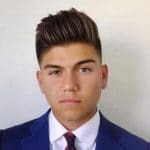 Every guy’s facial grows in a bit differently. 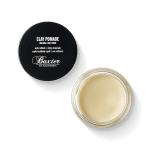 This gentleman makes the most of thicker growth in the mustache and thinner hair on the cheeks. 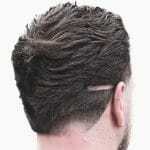 A light fade at the sideburn creates a seamless connection to facial hair. 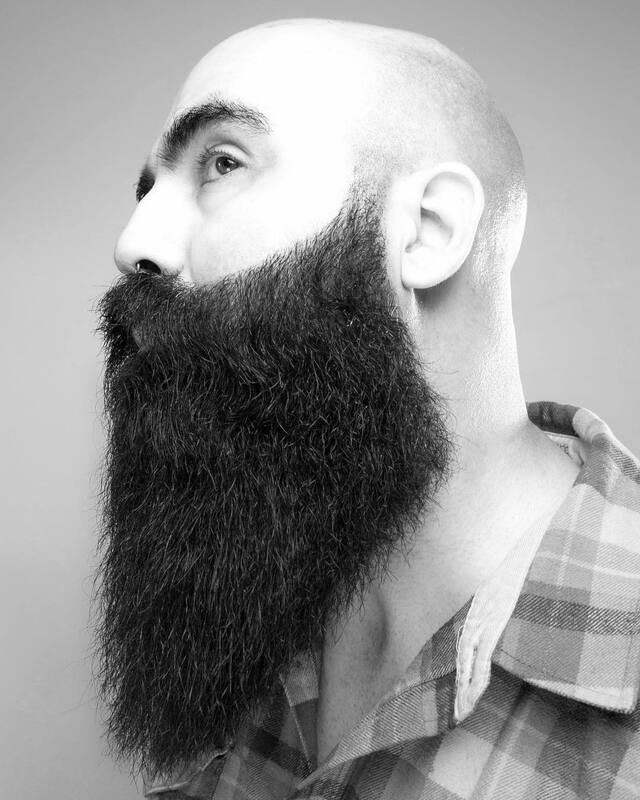 Now that’s how to trim a beard. 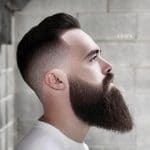 This thick beard is groomed to perfection with a clean line right below the jaw, graceful arc from the mouth to temple and short mustache. 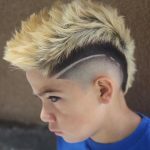 And then there is the skin fade at the temple and shaved design behind the ear. Bald heads plus beards are always in style. 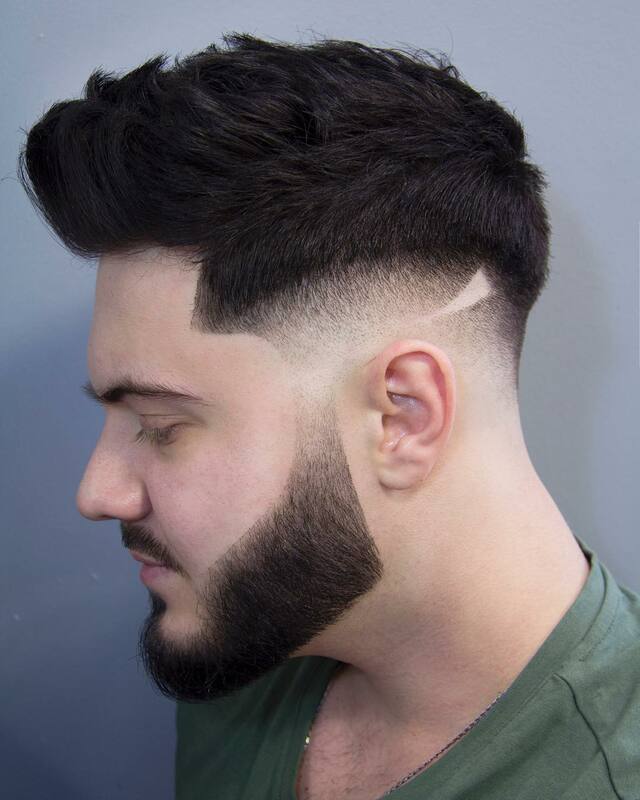 This combination draws extra focus to facial hair so it’s an opportunity to get a unique groomed style. 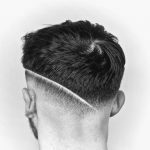 This geometric look combines a triangular beard shape with a square cut out. 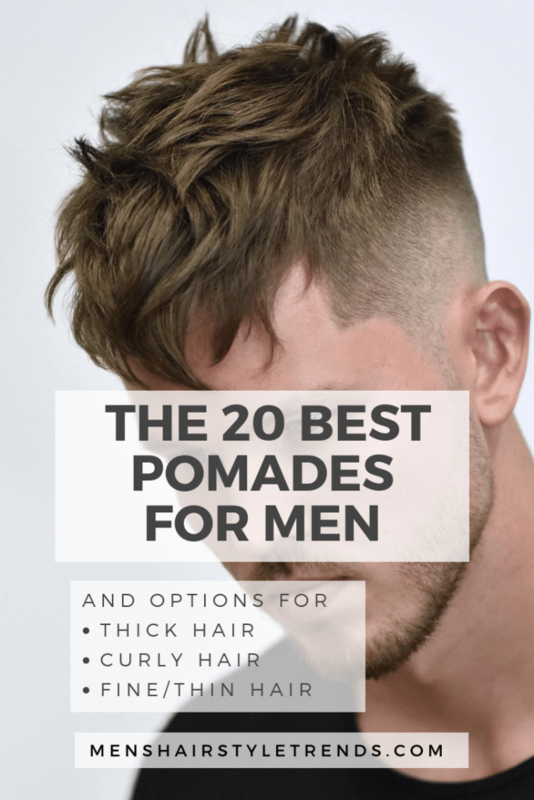 The slim mustache and faded sides complete the look. 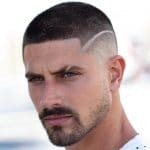 This linear look is a cool beard style for round faces. 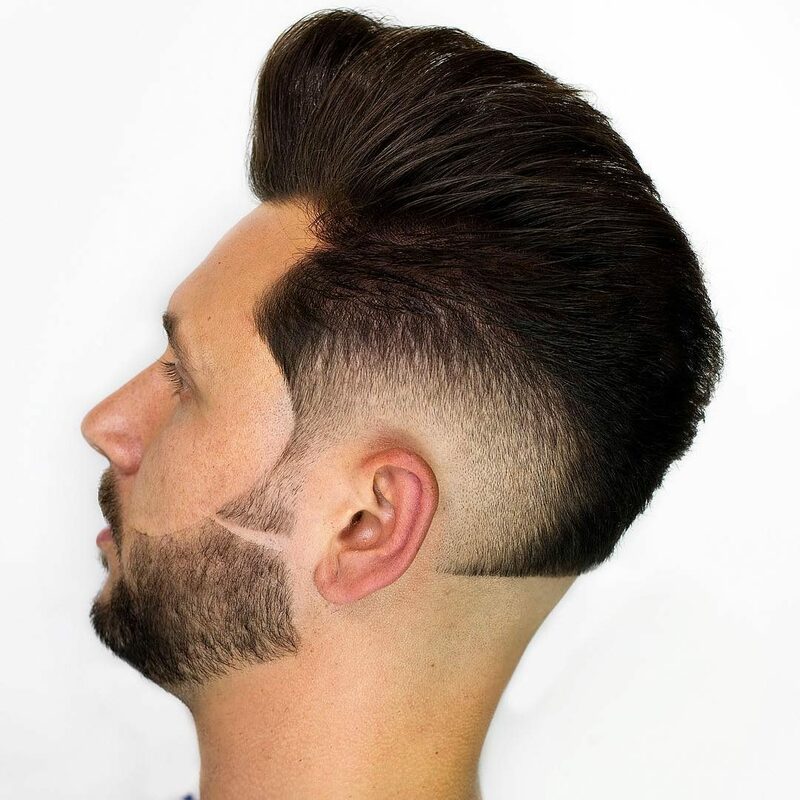 This gentleman haircut worn with a small beard gets a modern update from a quick fade through the sideburns. 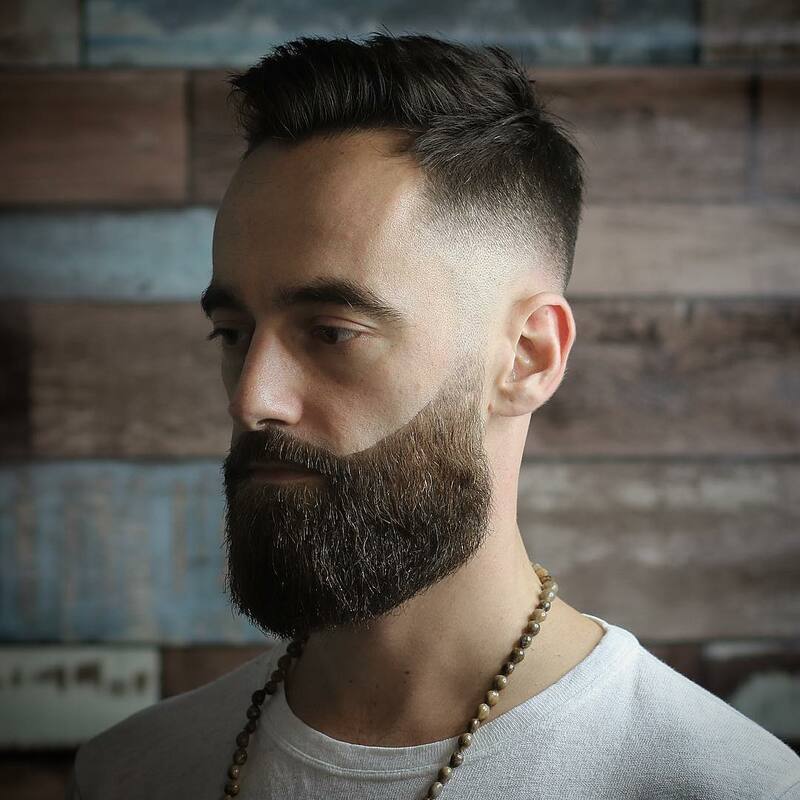 Fades and beards go together like bread and butter. 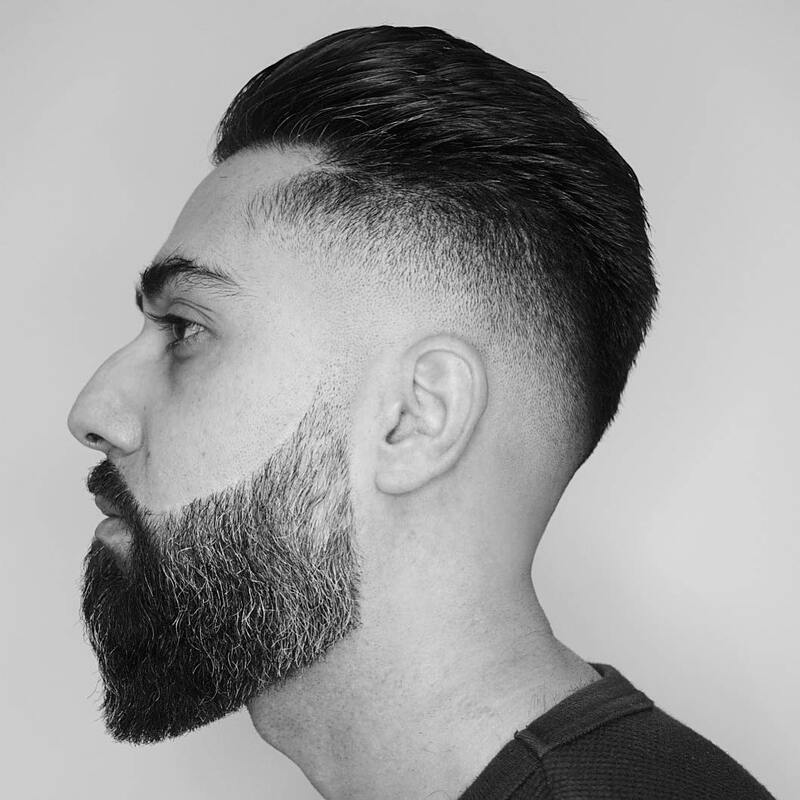 The shapes created by this mid fade haircut complement the angular beard grooming. 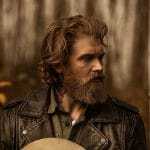 This medium beard has plenty of impact thanks to its masculine shape. 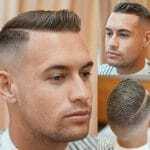 A few buzzes with the clippers transform this classic side part haircut with a full beard into a fresh and bold look. 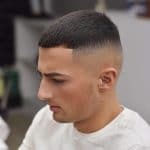 A quick fade at the sideburns echoes the neck taper and separates hair from the beard while a diagonal slash straddles the two. Black beard styles can be whatever you want them to be. 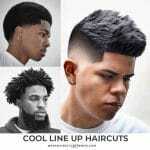 Short or long, groomed or bushy, shaped by clippers or nature. 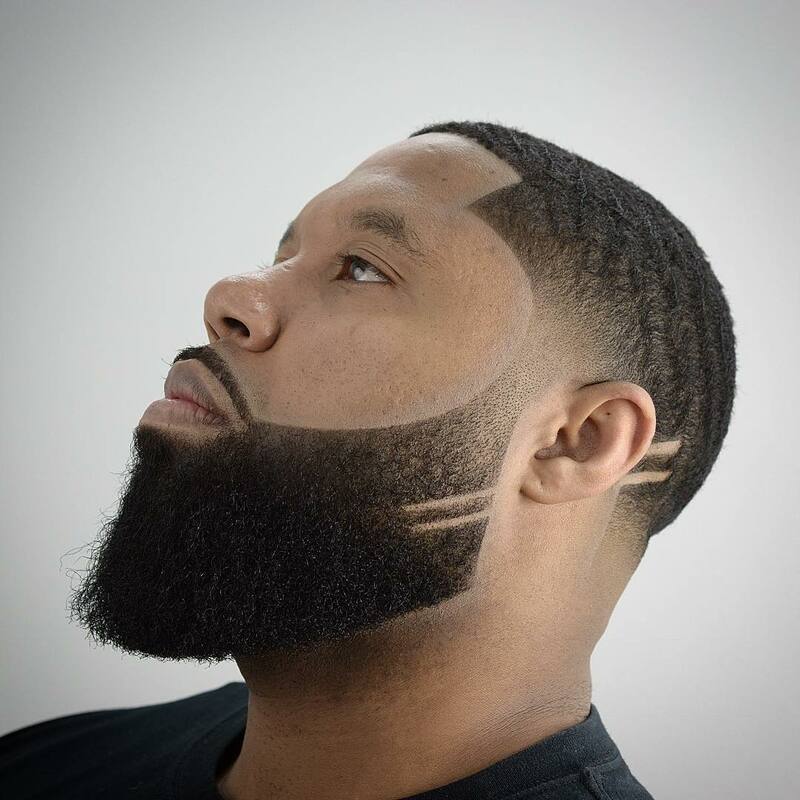 Here a full beard at the chin with a thin mustache tapers into a fade at the sides and connects to a line up in an arc. 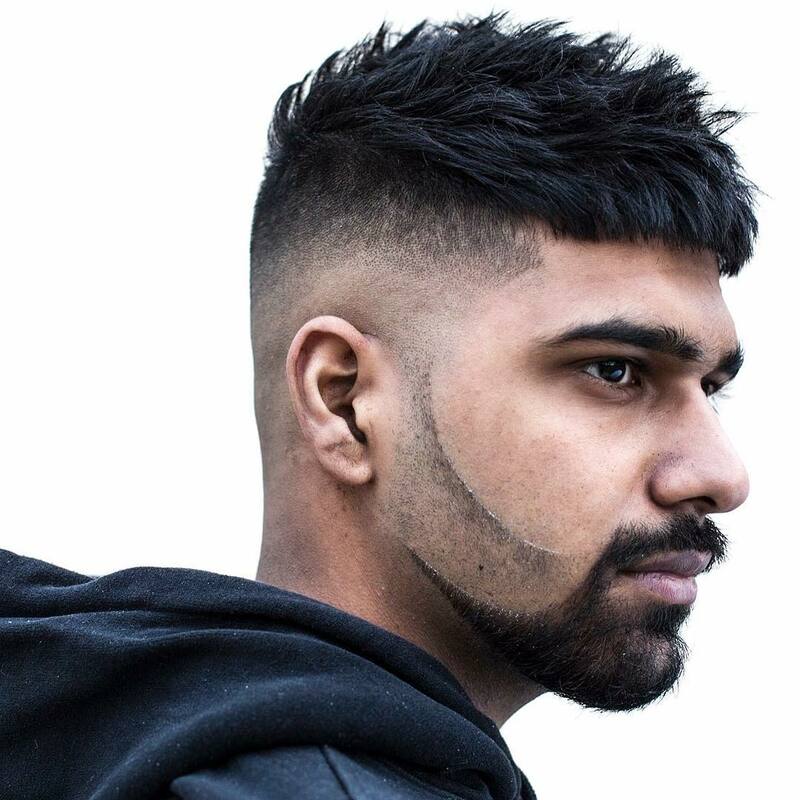 A pair of slashes behind the ear interrupt a waves haircut but continue into facial hair. 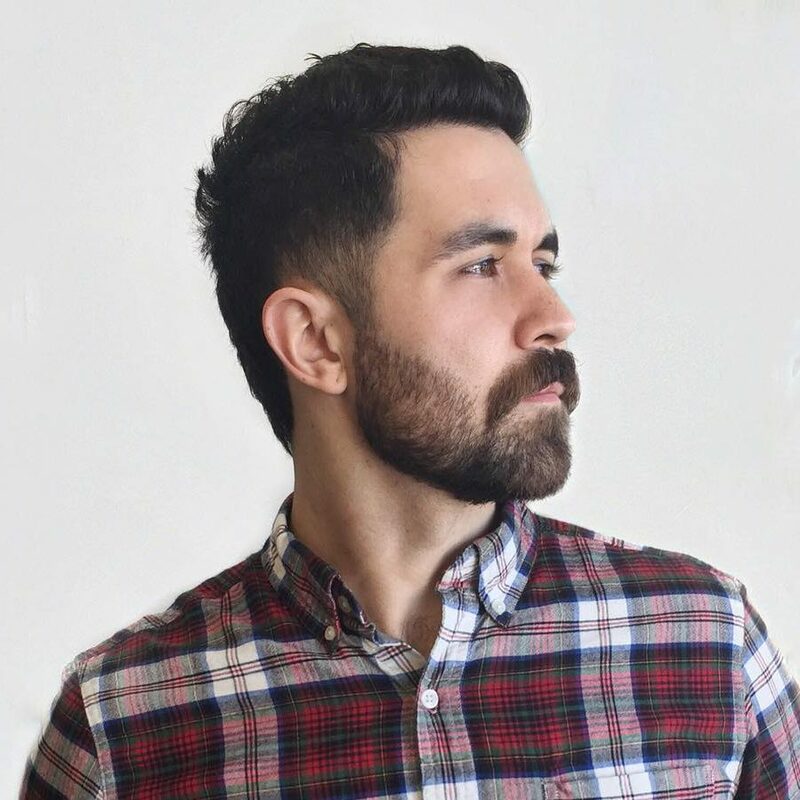 This cool beard style for men with short hair. 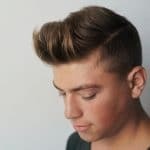 Hair on top is styled into short spikes with a mid fade around the sides back. 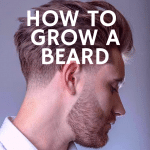 The groomed beard has a short mustache and shaped cheeks but is longer at chin, extending the line of the jaw. 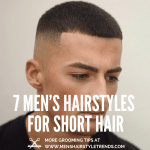 Just like hairstyles, the best beard styles work with your hair growth patterns and face shape. 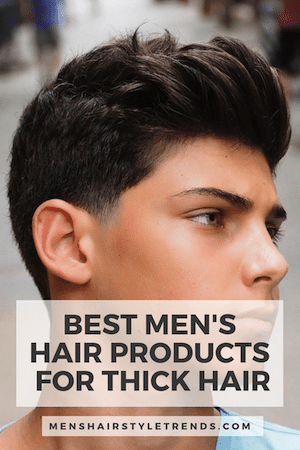 This cool look contrasts a buzz cut with a full beard. 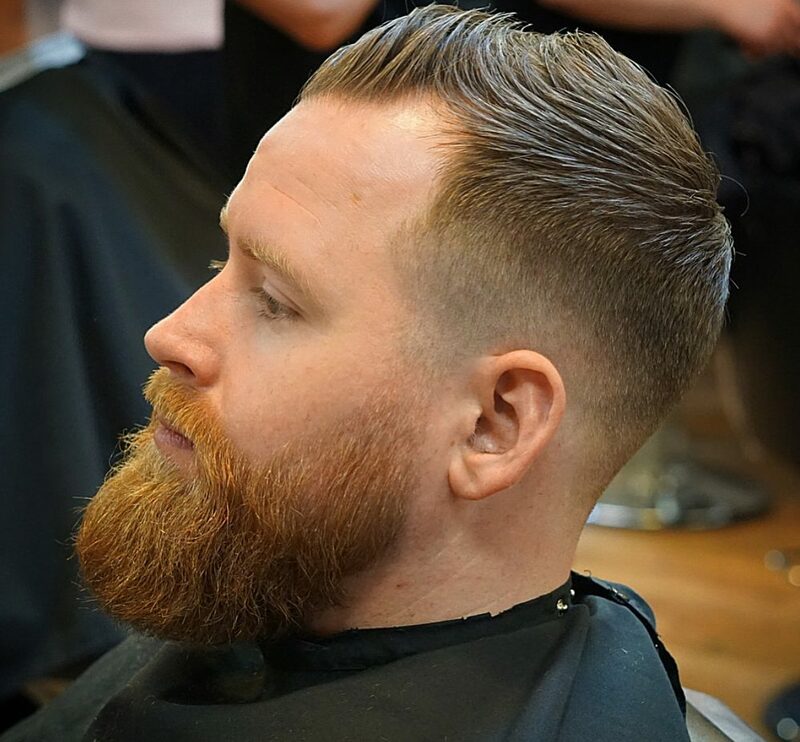 The cut is cleaned up all around with a line up, neck taper, sideburn fade and beard grooming around the neck and mustache. 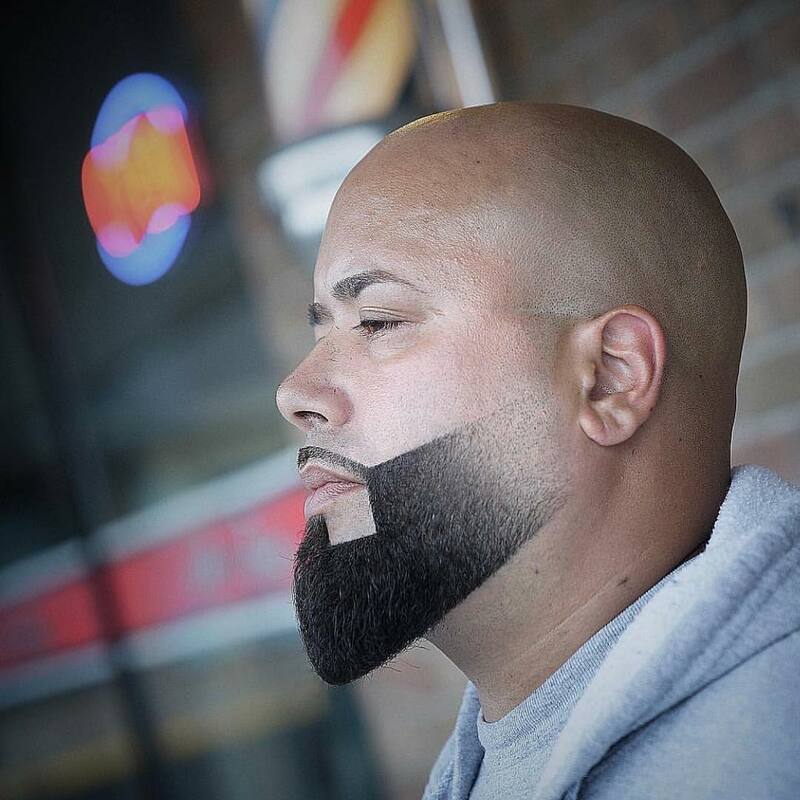 This enviable beard groomed into a rounded shape also has an impressive mustache. 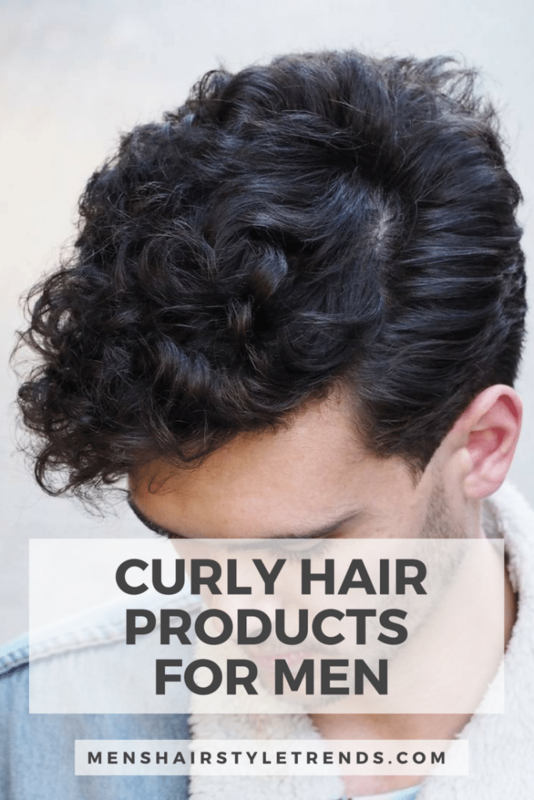 Hair is worn long and groomed up and out but not twisted into handlebars. Beard growth can come in surprising colors. 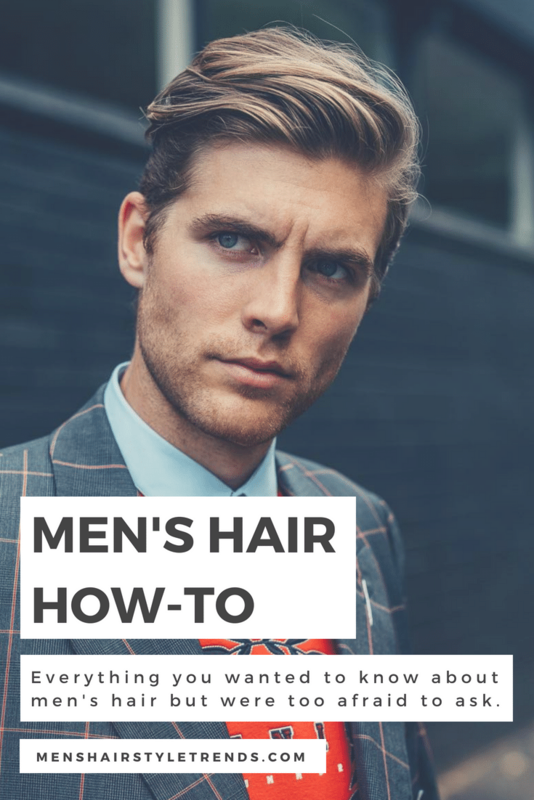 Facial hair is frequently lighter, greyer or redder than hair on the head. 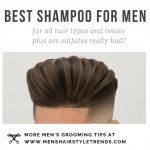 This gentleman has light brown hair and a contrasting red beard. 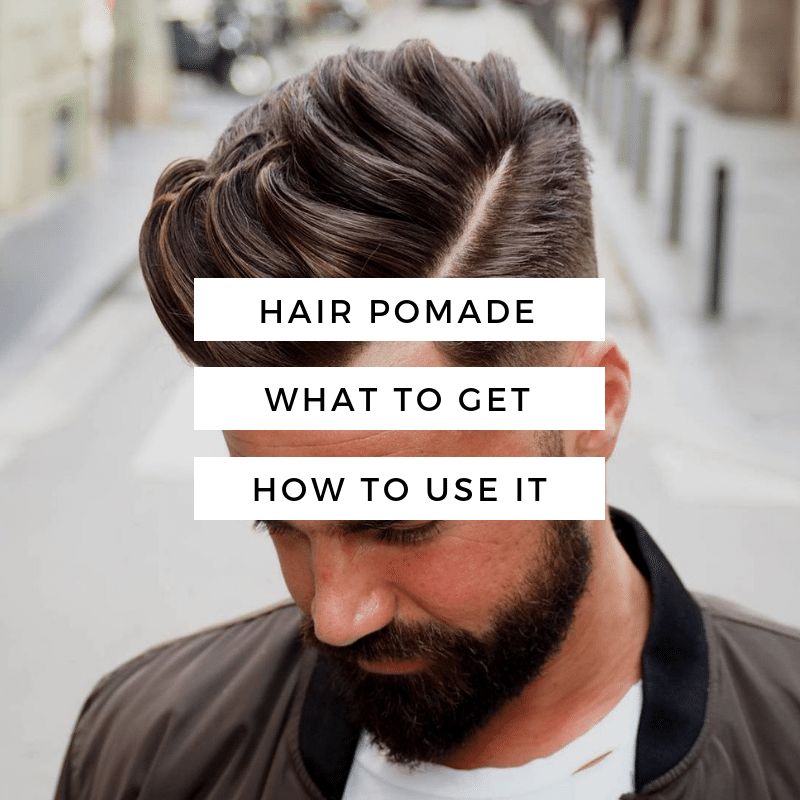 This lumberjack beard is ready for the city thanks to professional grooming, a dapper hairstyle and a slight waxed handlebar at the ends of a full mustache. 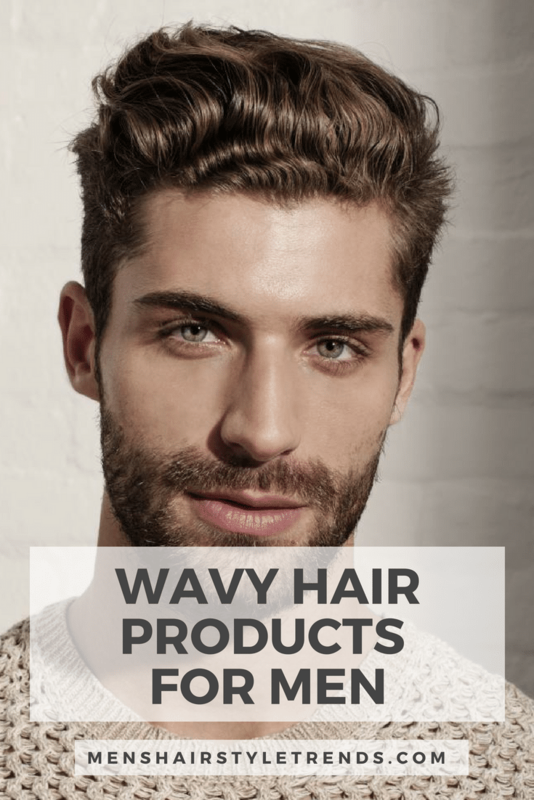 This long and bushy beard is groomed and shaped into a flattering angular shape. 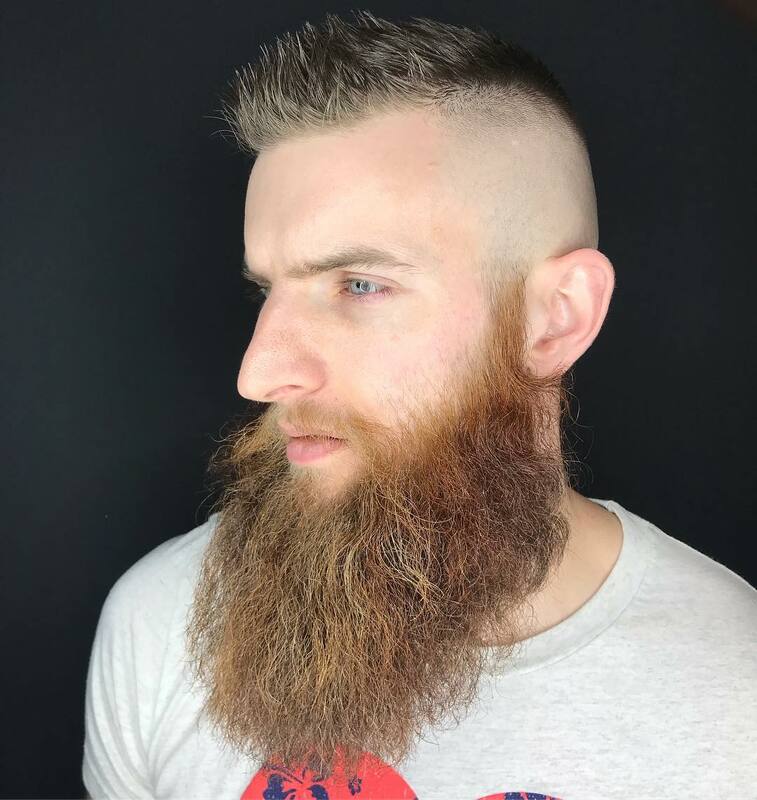 The best way to groom a beard is see a professional and then maintain the lines that they create. 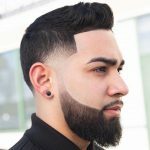 Not every barber is experienced with beards so be sure to check out their Instagram or reputation first. 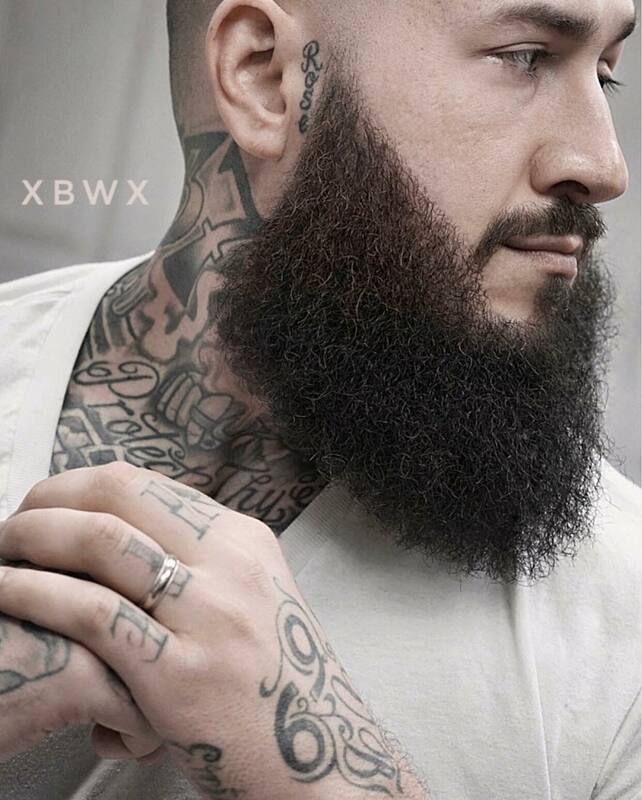 Long beards are one of the most popular beard styles. 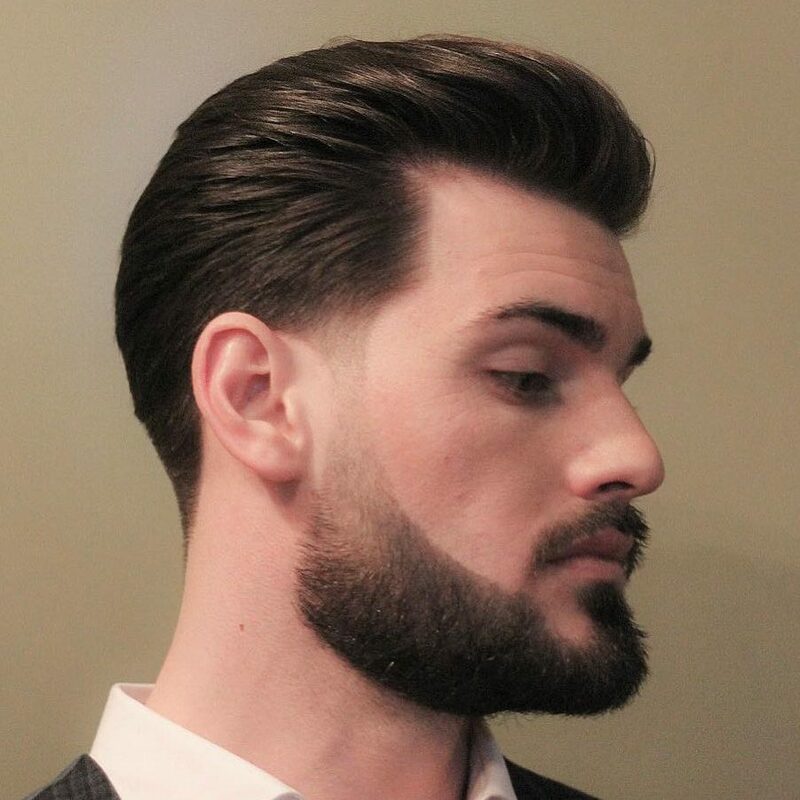 This short haircut and high fade emphasize the long, bushy beard below. A ZZ Top beard isn’t the most flattering or stylish way to wear a long beard. 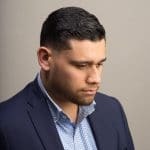 Some shaping and grooming create a shape that complements the face and mimics the line of the jaw. 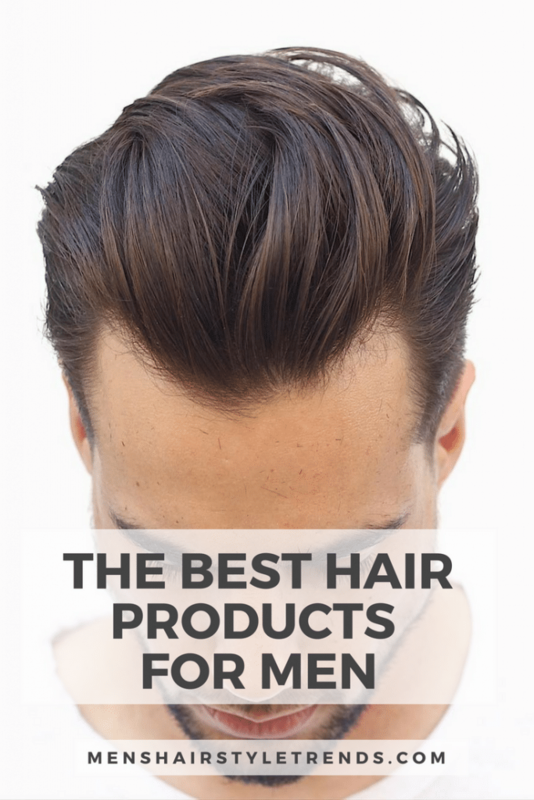 The same testosterone that contributes to baldness can also lead to robust facial hair growth. 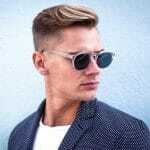 Go with the flow by rocking a collarbone-grazing beard with a shaved head or chrome dome up top.